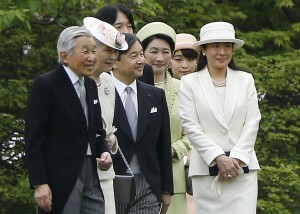 In a video message released on August 8, Emperor Akihito hinted at a desire to abdicate the throne. Twenty-eight years have passed since the 82-year-old emperor’s ascension to the throne, and this message surprised many citizens even though the emperor avoided directly mentioning the constitution, which forbids him from making political statements. The message has led to debates over the state of the emperor as a symbol, and the role of the Imperial House. In an essay in Chuokoron, playwright and critic Masakazu Yamazaki writes that in the history of the imperial system, “Very early on, the political power and symbolic authority of the Japanese emperor were separated.” He mentions “Historically, the symbolic authority of the emperor was almost never denied,” and argues that a separation of “authority” and “power” are at the core of the imperial system. Although many conservative and right-leaning critics are against or cautious towards abdication, in an essay in Seiron, author Tsuneyasu Takeda argues that seizen tai’i [abdication while alive] references the concept of death and so shouldn’t be used in regards to the emperor, and that tai’I [abdication] “simply means leaving a position, and is a truly dull word,” and instead the word jou’i [abdication, but with the meaning of passing the position to someone else] should be used instead. Regarding the proposal to pass a special law allowing only the current emperor to abdicate, Yagi states “Even a special law would create precedent for abdication, and significant research is necessary on what legal position the emperor would have after abdication and other issues,” noting that he is against the idea.